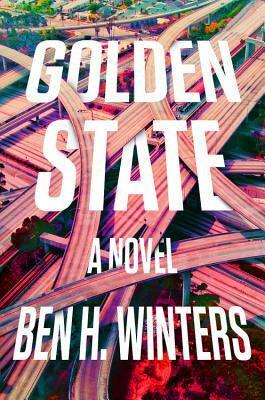 Golden State (Hardcover) | Fountain Bookstore, Inc. In the Golden State, an alternate society that stands where California once did, law and the truth are valued above all else. Americans frustrated with a country where the telling of lies is a chronic occurrence even at the highest level of government, they have retreated here to build a new nation. In the Golden State,knowingly lying or hiding the truth are the greatest crimes and are punishable with the very harshest of sentences. "Speculator" Laszlo Ratesic has been working cases of violation of these laws for 19 years. A curious case challenges his belief in his own abilities and his understanding of what the truth really is. The architecture of this book is amazing. When you think about the systems that would have to be put in place to verify that everyone tells the truth, it is truly mind boggling. It's also a great detective story. It made me think of China Miéville's The City and the City. On speed.